Supporting the Kendall County Special Olympics Comets! KCSO Family and Friends will be holding its 3rd Annual Golf Outing and Dinner on Friday, May 10, 2019 at the Blackberry Oaks Golf Course in Bristol, Illinois. This fundraiser will benefit the athletes of the Kendall County Comets – Special Olympics Team. KCSO is an independent, volunteer, not-for-profit 501 (c)(3) organization which is totally self-funded through community donations. Contributions to KCSO are 100% tax deductible! 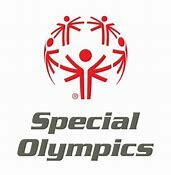 We believe that all athletes should have the opportunity to participate in Special Olympics regardless of their financial status and our fundraisers enable us to achieve this goal. We support over one hundred athletes throughout Kendall County and the surrounding areas, ranging in age from eight to eighty! We have been serving athletes with special needs in this community for over forty years. Companies like yours make available the resources that enrich our Special Olympics program and for that we are forever grateful!